 Here are some of the most common questions we get asked here at The Window Centre, along with detailed responses from our expert sales staff and home improvement installers. Can’t see an answer to your question? No problem at all; just get in touch with our team and we will be more than happy to help you out. To make an enquiry, book a consultation or request a free quote, call our team. 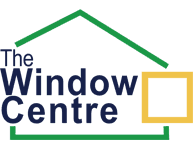 Where Does The Window Centre install windows, doors and porches? Our service areas include Harrow, Pinner, Wembley, Edgware, Stanmore, Eastcote, Ruislip, Ickenham, Northolt, Greenford and Hillingdon – though we can sometimes venture further afield in London. Get in touch to see if you are within our operating area. How much do windows, doors and porches cost? Unfortunately, there is no clear answer to this question! Each home is of a different age, build and style; and there is a vast amount of personalisation available for each product. Therefore, no two installations will be the same. Generally, no. However, for some window installations in conservation areas, or on grade-listed buildings, there will need to be some consultation with the council; we will be happy to offer advice on how to proceed, though we cannot carry out applications on your behalf. Porches do not require planning permission as long as their base area does not exceed 3.5 m2. Do we provide commercial quotations? Yes. As well as domestic work, we install windows, glazing and doors for all manner of commercial properties; from replacement windows for shop fronts to whole school windows and fire doors. Get in touch with us to discuss your needs and various product specifications. While our products and installations are of the highest quality, we sometimes offer discounts in the form of seasonal sales. For more information, please check our website and promotional material, or get in touch to see what discount we can offer at this time. For some large installations, we can offer quantity discounts. Have a look through our website and get an idea of what sort of products you are interested in. Where possible, if you can take rough measurements that would be ideal. Then, if you get in touch with us via the contact details below, we would be very happy to provide you with a FREE quote. Have more window and door FAQs? Request a call back using the form below.